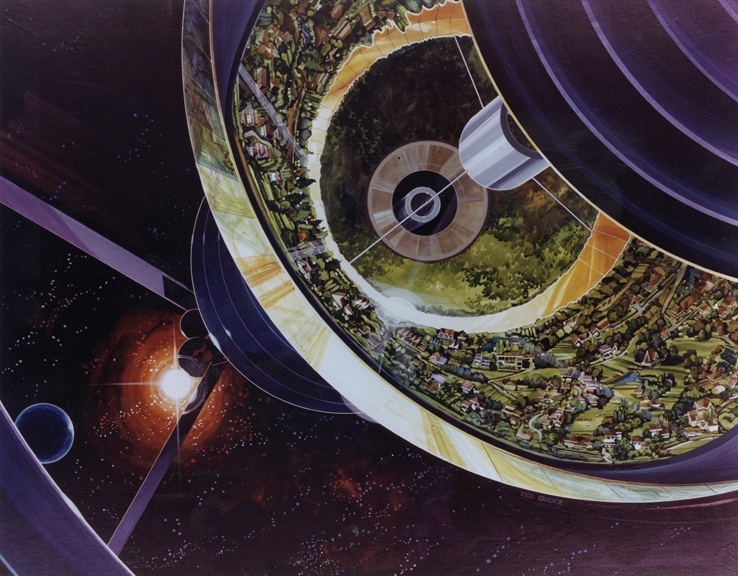 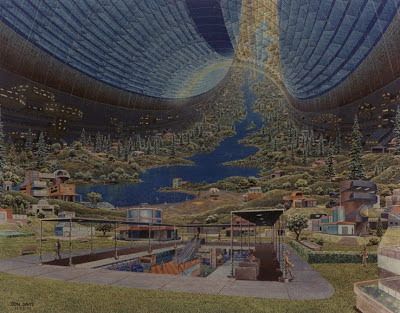 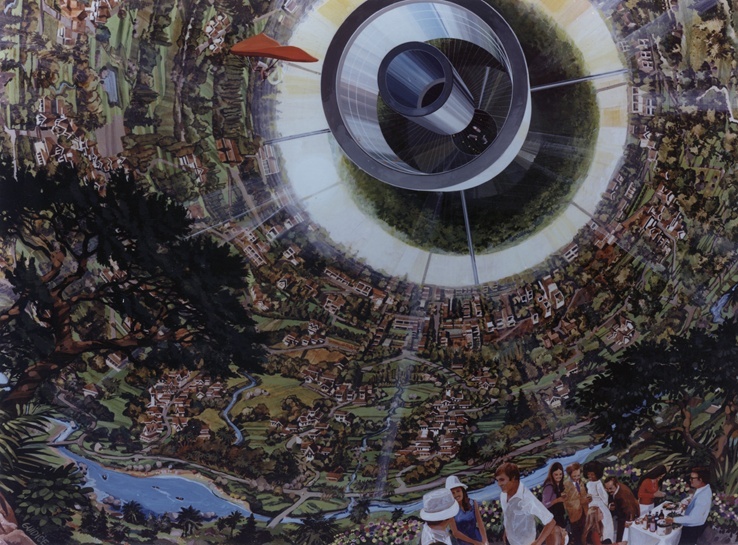 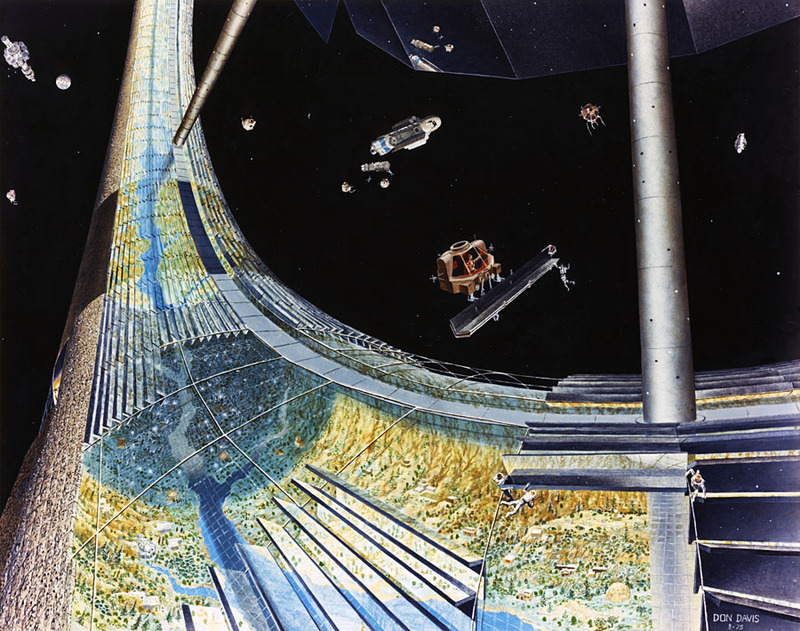 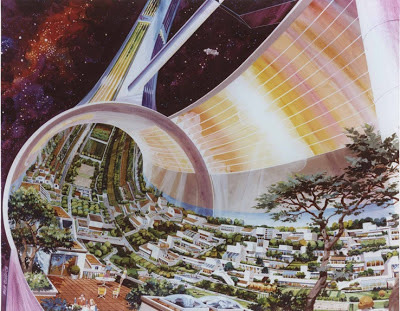 Images of space colonies, commissioned by NASA in the 1970s, created by Rick Guidice and Don Davies. 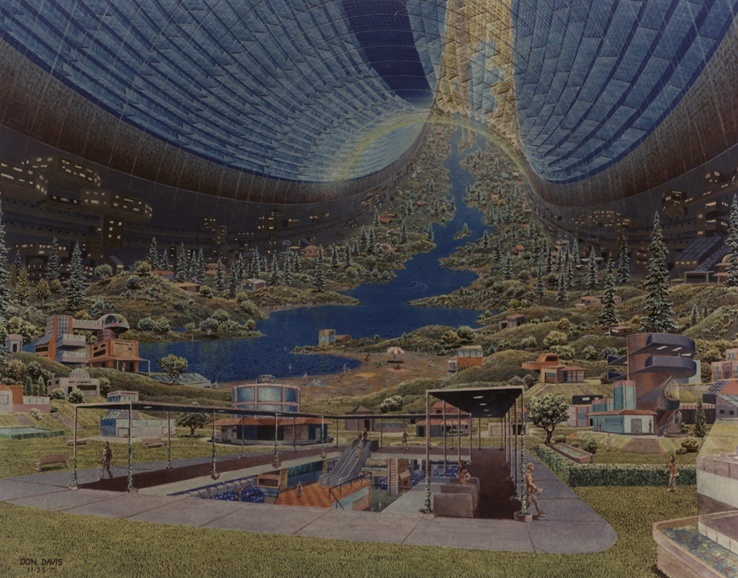 The artwork can be found here; the artwork's backstory can be found here. 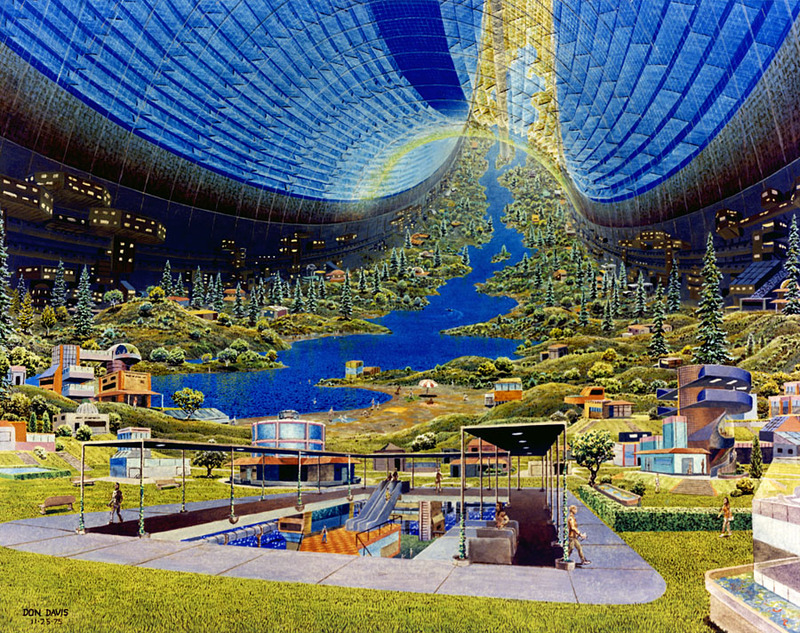 Images: NASA Ames Research Center, via @SYSKPodcast.